When will be Going Places with Ernie Dingo next episode air date? Is Going Places with Ernie Dingo renewed or cancelled? Where to countdown Going Places with Ernie Dingo air dates? Is Going Places with Ernie Dingo worth watching? Prepare to have your breath taken away by some of Australia's most spectacular scenery, and be moved by the real-life stories of the people Ernie meets in his quest to discover more about the country's popular tourist destinations. Ernie visits the Blue Mountains in NSW to meet up with an enthusiastic cave guide, a Gundungurra man maintaining his connection to Country and a nature lover who finds solace in this wilderness. This week Ernie meets a Boonwurrung man with a love for the ocean, and an inspirational lady finding balance between farming and the environment and a marine biologist following her passion. In this episode Ernie visits Katherine and meets up with a visionary, a landscape photographer and a river guide who shares stories of the world famous Nitmiluk Gorge. In the season's finale, Ernie and his late brother Bucky take audiences back to their home town of Mullewa on the Murchison River. It is an entertaining, informative, and heartfelt episode. 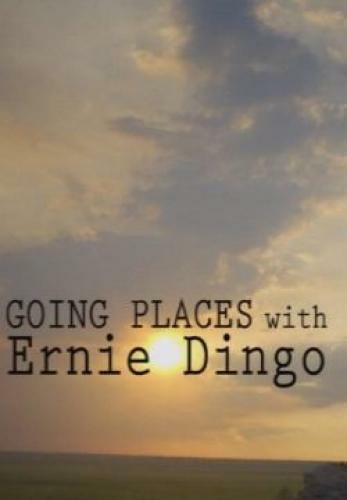 Going Places with Ernie Dingo next episode air date provides TVMaze for you. EpisoDate.com is your TV show guide to Countdown Going Places with Ernie Dingo Episode Air Dates and to stay in touch with Going Places with Ernie Dingo next episode Air Date and your others favorite TV Shows. Add the shows you like to a "Watchlist" and let the site take it from there.